Star Trek will return to the big screen next month, and Star Trek Beyond will acknowledge the passing of Leonard Nimoy. He appeared in both of the new films as his character of Spock, and his death did have an impact on the cast of the film. Are you planning to see Star Trek Beyond in theaters? Are you glad that the new film will honor Nimoy? Tell us what you think. Star Trek: Should Leonard Nimoy’s Spock Appear in Future Films? I am not planning to see Star Trek Beyond. To the best of my knowledge, note has not been taken of several Star Trek actors, including, but not limited to, Leonard Nimoy and DeForest Kelley, that have passed. Seems disrespectful, somehow. Had been a “fan” since late 1966. 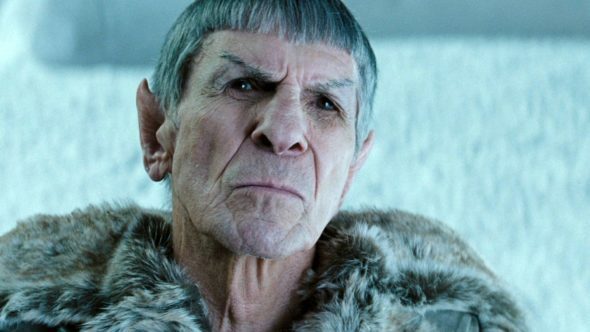 I’m very glad that “Star Trek Beyond” will honor Leonard Nimoy. I was hoping it would. Spock was also my favorite character in the original “Star Trek” series. I was also a fam of Leonard Nimoy’s. I was a member of his fan club for 10 years. I met him in San Antonio around the 1970s.